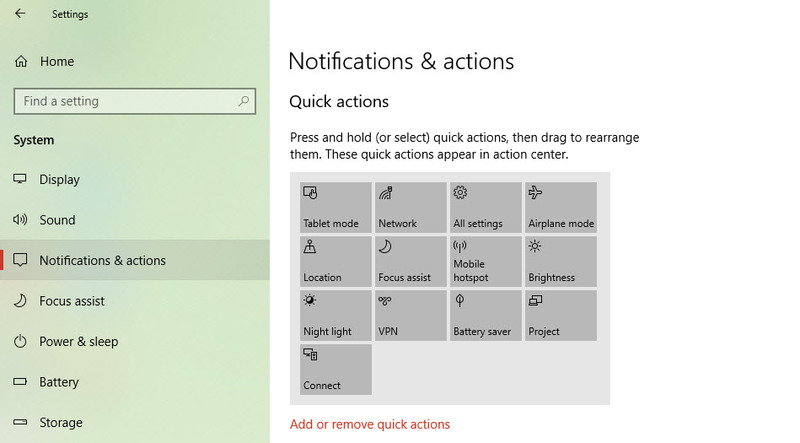 Action Center is a nice addition to Windows which provides convenient and quick access to various settings, which reside as a slide-out pane that appears by pressing an icon in the taskbar. Default options in the Action center might not be suitable for your needs. Cleaning up Action Center is quite easy so that it shows the buttons you want, and also in the sequence, you prefer. Action Center has different options you can change around to personalize your experience, this tidying can prove useful, as you can place the most used button for you in the Action center and can remove the one which you don’t use at all. Follow the steps given below to personalize your action center. 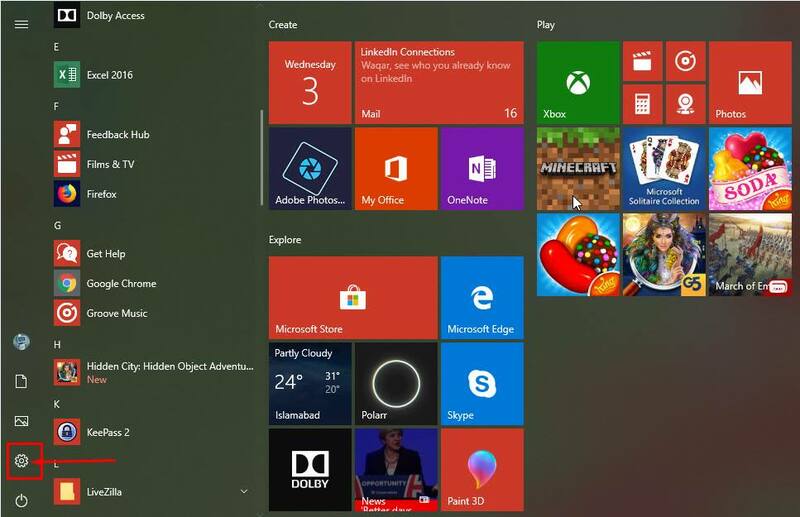 Click on the Start menu button on the bottom left corner of your screen and select Settings option. 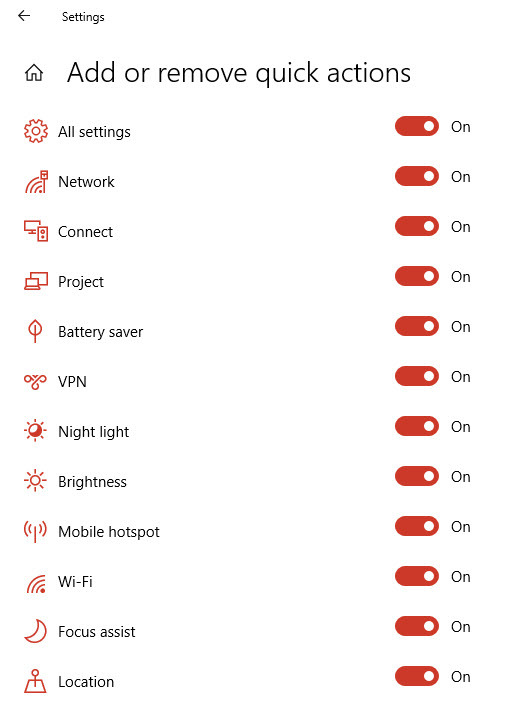 Select the “System” option from the Setting menu. From the left-hand menu bar select the “Notifications & Actions” option. In the right pane, you’ll see the “Quick Actions” section right at the top and all of the currently available Quick Action buttons as well. You can drag and drop any of the buttons around to adjust them in the order that you want them to appear in the Action Center. 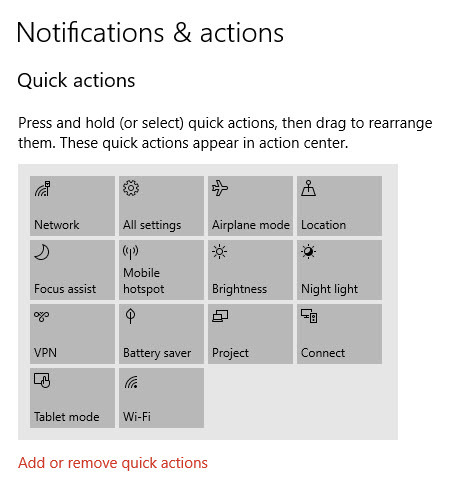 In case if there are some buttons that you would rather not like to get appear in the Action Center at all, click the “Add or remove quick actions” option at the end of the page. 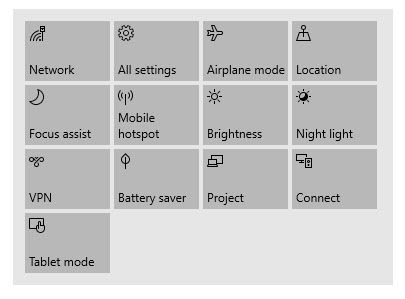 Use the toggles on the window that opens in front of you to turn specific buttons on or off from the action center. Once done access your Action center once again to see all of the changes that you have made.